Fine cloth copy in an equally fine dw. Particularly and surprisingly well-preserved; tight, bright, clean and especially sharp-cornered. ; 658 pages; Description: viii, 658p. : ill. ; 25 cm. Subject: Bible - Criticism, interpretation, etc. - History. 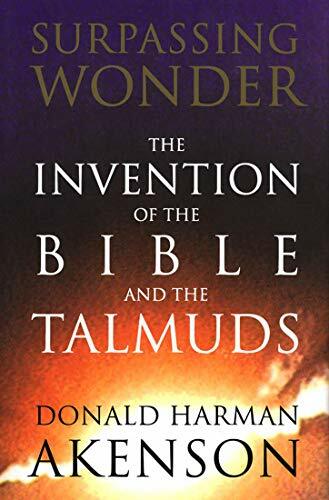 Talmud. Genre: Bibliography. 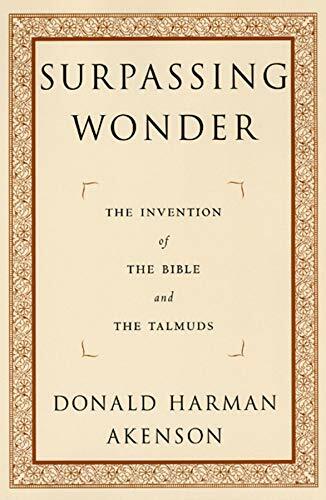 With wit, elegance, and clarity, Surpassing Wonder illuminates the ancient Hebrew scriptures, the Christian "New Testament", and the Talmuds of the Rabbis by showing who wrote them, under what circumstances, and why they were given the shape they have. These works constitute the very core of our cultural consciousness and in every century have been hidden from us -- first by priests, then by fundamentalists, and now by narrow scholars.Here, with biting irreverence for prejudice and pretension, Donald Akenson renews our sense of awe before these sacred works by encountering them head-on, by setting them in their historical and political context -- and by daring to speculate that there was one author-editor of the Hebrew scriptures, and one for the Christian New Testament, and that the inventor of the Hebrew scriptures should be credited with constructing the very foundations of Western culture. 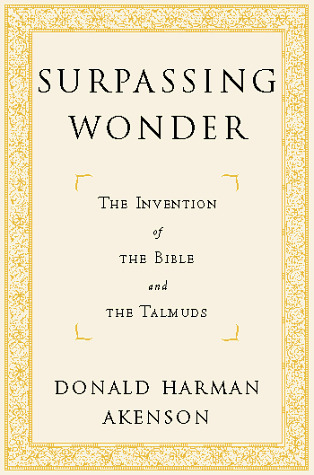 He simultaneously restores their spiritual power through a just appreciation of the authors' achievement and provides a brilliant expose of how theologians and biblical scholars abuse historical reasoning and evidence in their treatment of the sacred texts.Using images that range from Winnie-the-Pooh to tractor mechanics, this world-renowned historian creates for us a radical reformation of the sacred texts as he breathes new life into our religions and helps us understand, and revere, the heritage that flows from Jerusalem.